creepy.... our microwave died tonight too MID dinner prep!DISASTER. Maybe Brian is Brian's first name but he goes by his middle name John? Its a stretch but possible. Hope the little one sleeps well for you tonight. I know I'm not quite a bosom buddy but I was hoping that you could do a post on how to blow out your clothes? Nature shrunk my clothes for me, and I need to make them fit again...I'm working with one pair of jeans that does not strangle the life out of my bazooka tubes, I long for a "grocery sac" fit. Thanks. 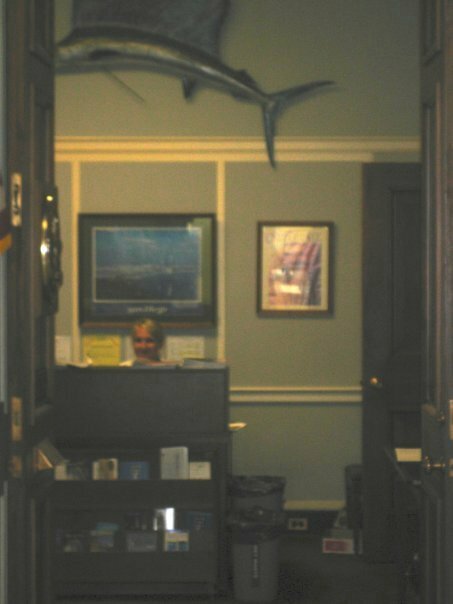 i like the fish that sat on the wall above your desk. What do yee think Billy Gee is up to these days? Think he finally aced his physical fitness test? haha--"ignore my patriotic eyes." hilar. also, your cardigan is making me realize i need more purple in my life. like, really. NEED.